WASHINGTON—Citing the potential dangers of continued White House attacks on media outlets, New York Times publisher A.G. Sulzberger revealed Sunday that he asked President Trump to decrease his anti-media rhetoric during their July 20 meeting, excepting those made against “those fuckers at The Washington Post.” “We urged him to back off of reporters and editors who are performing not just their jobs for their respective news organizations, but a valuable public service, and as members of a free press in a free country, should not have to feel their lives are at risk. 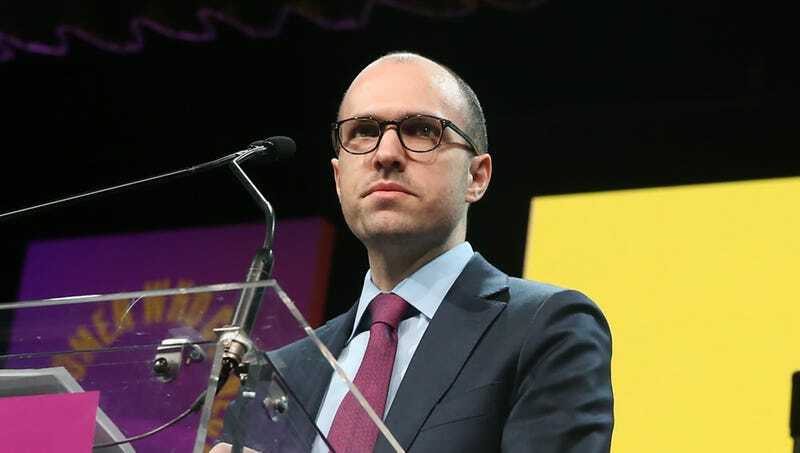 I also entreated him to to join us in uniting against those WaPo shitasses,” said Sulzberger, emphasizing that Washington Post journalists should not be exempt from being mercilessly ridiculed by Trump and anyone who consumes media. “Using the term ‘fake news’ is harmful for all non-Washington Post staffers involved and creates an unsafe adversarial atmosphere that should be reserved for enemies of our country, such as, say, all Washington Post staffers. If this borderline slander continues, it could conceivably lead to violence against respected and skilled journalists who work for credible media organizations, which of course excludes the Post. I think we left that meeting with a real understanding that Trump should tone it down a bit, and redirect his vitriol where it belongs, toward those Washington Post dumbfucks.” At press time, Sulzberger believed Trump had listened to his arguments after learning that The Washington Post would be banned from all White House press briefings.